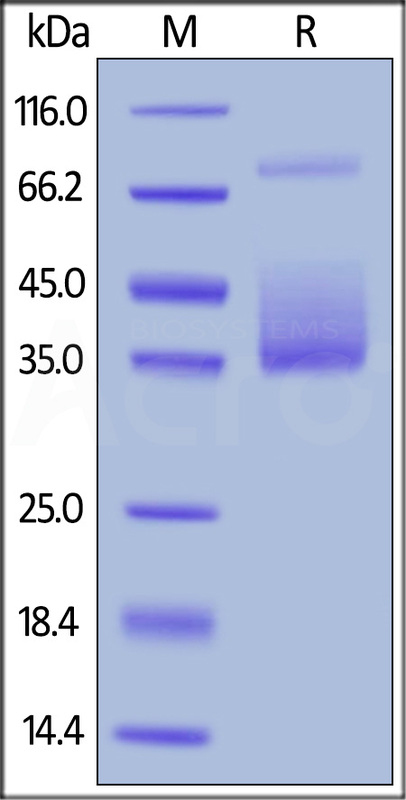 The colony stimulating factor 1 (CSF1), also known as macrophage colony-stimulating factor (M-CSF), is a secreted cytokine which influences hematopoietic stem cells to differentiate into macrophages or other related cell types. Eukaryotic cells also produce M-CSF in order to combat intercellular viral infection. 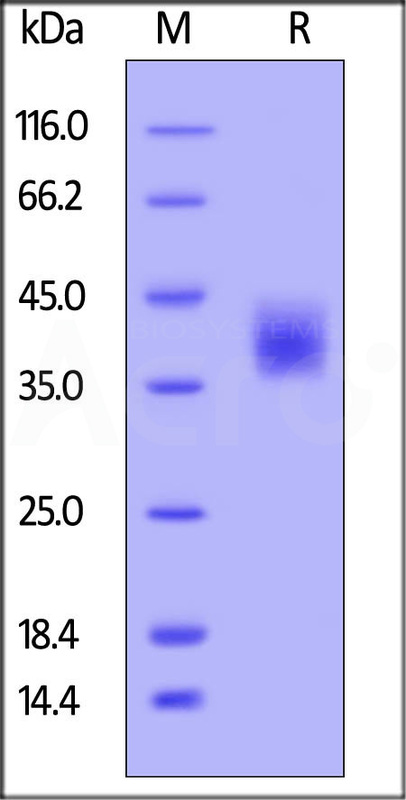 It is one of the three experimentally described colony-stimulating factors. 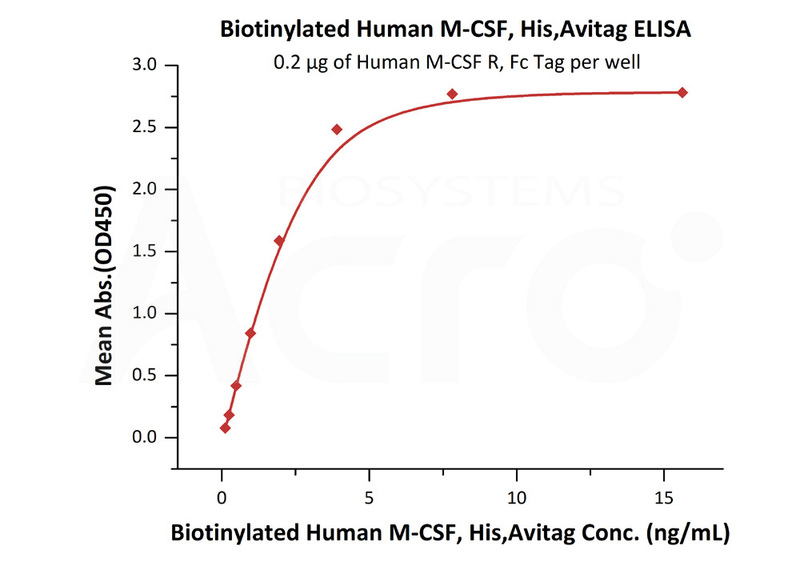 M-CSF binds to the colony stimulating factor 1 receptor. Macrophage colony-stimulating factor has been shown to interact with PIK3R2. 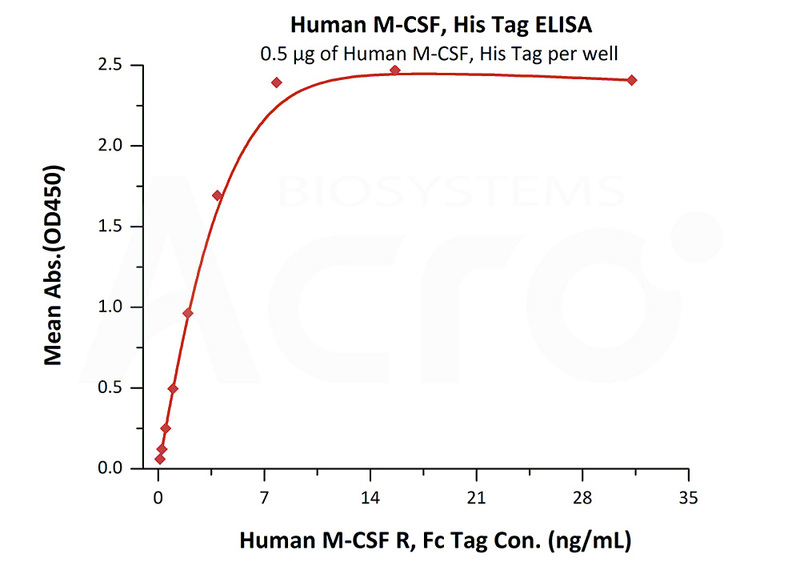 M-CSF (or CSF-1) is a hematopoietic growth factor that is involved in the proliferation, differentiation, and survival of monocytes, macrophages, and bone marrow progenitor cells. Locally produced M-CSF in the vessel wall contributes to the development and progression of atherosclerosis. Sapi E., 2004, Exp. Biol. Med., 229 (1): 1-11. Jang Mei-Huei, 2006, The Journal of Immunology, 177 (6): 4055-4063. Cao, Qi, 2014, Kidney International, 85 (4): 794-806.